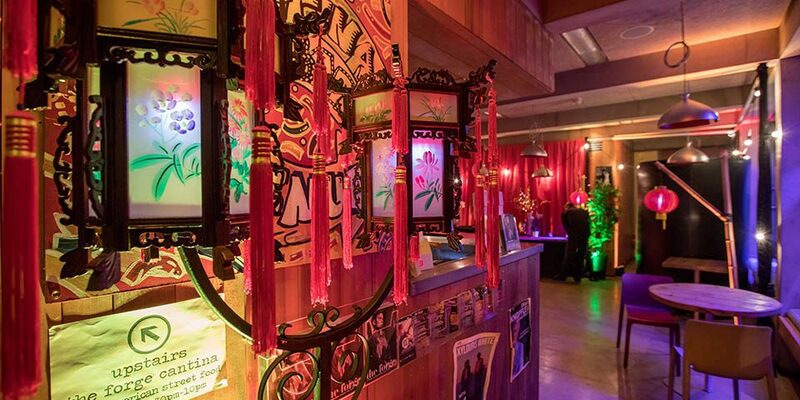 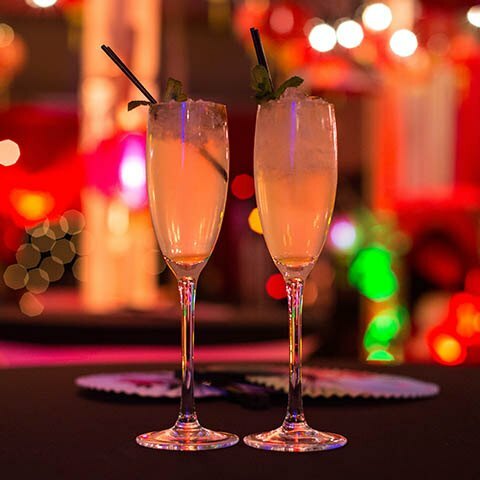 Memories of turning 18 should last a lifetime, and that’s exactly what we guaranteed when we delivered an Asian fusion-themed party in a quirky Camden venue. 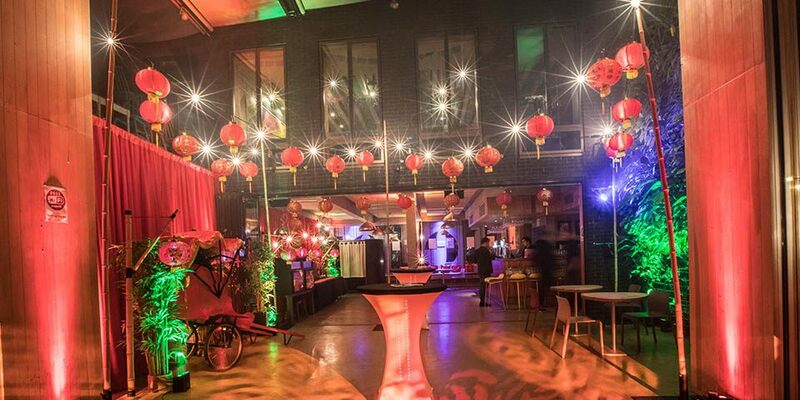 The birthday girl and her guests found themselves entering a vibrant, colourful party environment that had been completely transformed. 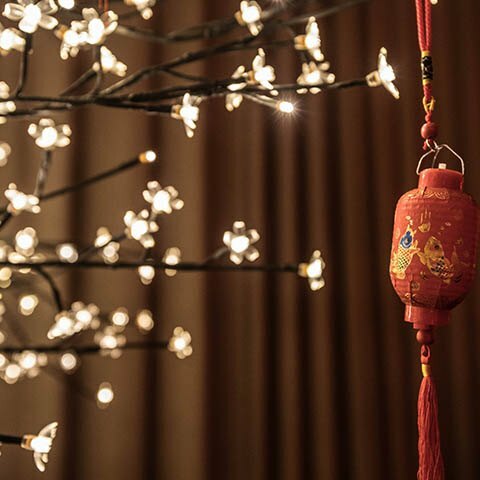 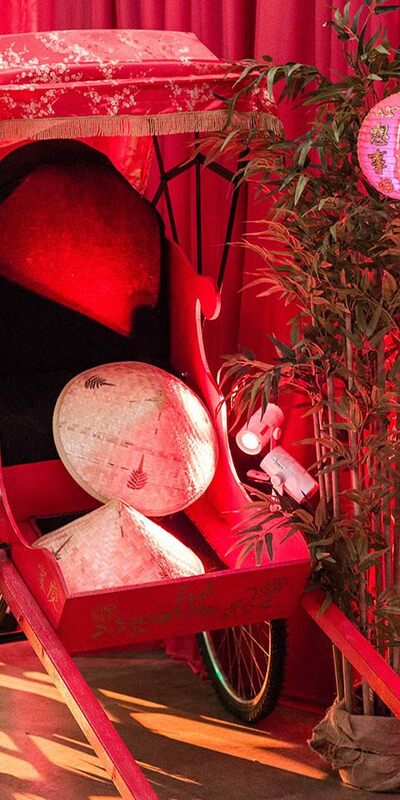 The walls were swathed in red drapery, we hung a roof canopy with festoon lights and Chinese hanging lanterns, and we used an array of props to create a visually inspiring space – from bamboo to Chinese fans and Japanese blossom trees. 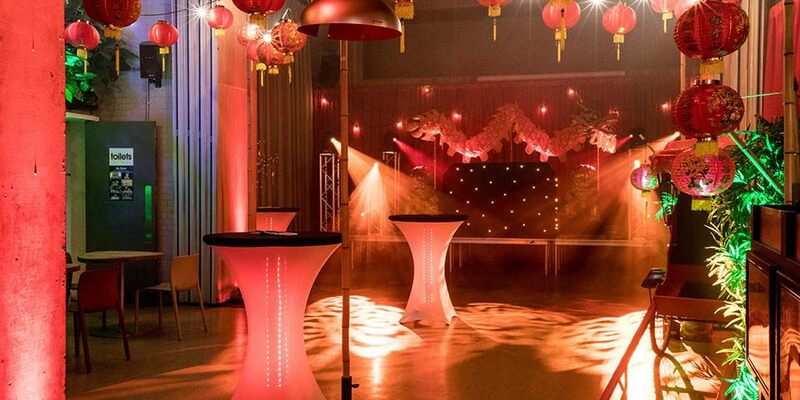 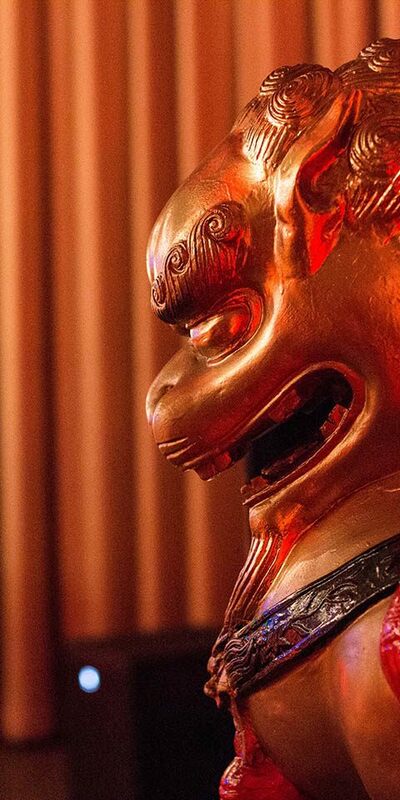 An intelligent lighting system, controlled via a lighting desk, created a nightclub atmosphere and we booked a top club DJ, flanked by two giant foo dogs and watched over by a giant ceremonial Chinese dragon, who kept the dancefloor packed. 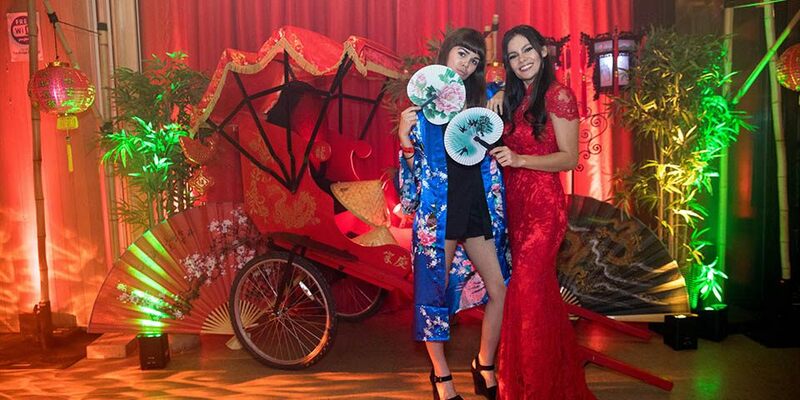 Guests also enjoyed using photobooths (one of which featured a tuk-tuk) to create fun photos, whilst our professional photographer roamed around capturing all the fun of the evening. 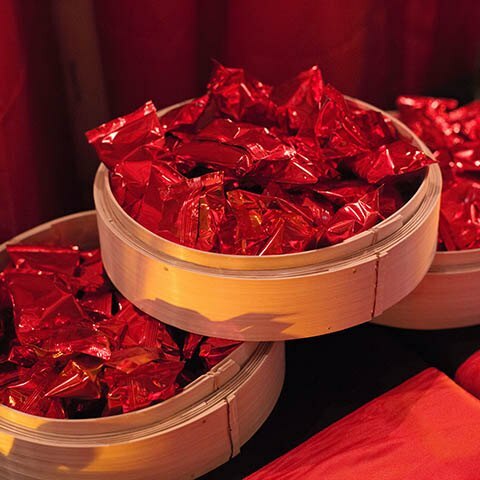 Alcoholic intake was balanced by a delicious feast of Chinese food.